A toothache is a dreadful thing that sends a lot of people running straight to the dentist. Unfortunately they have a nasty habit of striking in the night, thanks to changes in blood flow, and when the dentist’s office is closed. Or, you simply can’t make it to a dentist. Either way, cloves make an incredible (and inexpensive) home remedy for toothaches. Long before we had the dental care we have today, dentists used cloves to help pain because they contain eugenol, a powerful anesthetic and antiseptic that stops pain in its tracks and wipes out germs. Eugenol remains popular and effective even now, and is still used by dentists today in a purified form that separates it from the essential oil. 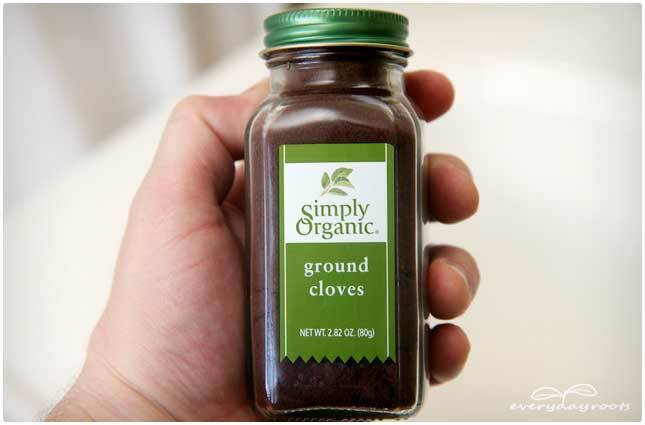 There are 3 forms in which you can use cloves to numb your aching nerve: Ground or powdered, whole cloves, or clove oil. A clove oil compress seems to work the best, especially if you’re too sore to put whole ones in your mouth. Ground: This is something that a lot of people have in their kitchen. First, rinse your mouth with warm salt water and wash your hands. Take a pinch of the ground cloves and apply it between the gum that is sore and your cheek. Your spit does the trick now, just wait while it mixes with the powder. The pain should subside rather quickly. Whole: Rinse your mouth with warm salt water. Take 2 or 3 cloves and hold them in your mouth as close to the sore area as possible, and wait a few minutes until they start to soften. When they do get softer chew them lightly to release more of the oils, if you’re not too sore. Probably the most effective way to use to clove to help your toothache is to make a compress. 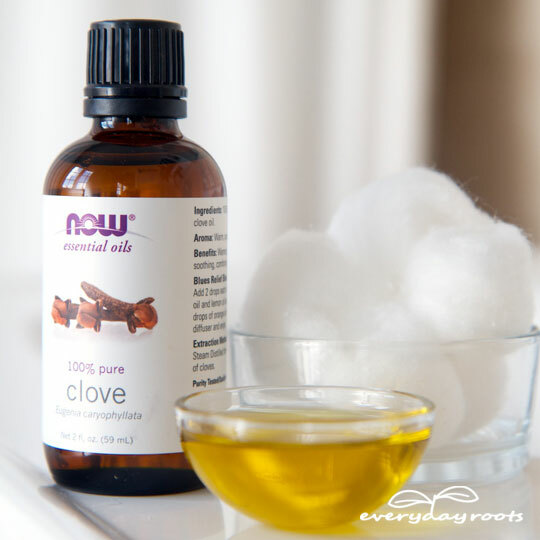 Mix a few drops of clove essential oil with ½ teaspoon of olive oil. Thoroughly soak a cotton ball in this mixture and then hold it gently but firmly against the sore tooth or gum. If you wanted to take a shortcut, you could try putting some of the oil on a cotton swab and dabbing it directly where it hurts, however, jabbing a cotton swab onto a hurting tooth or gum may not be too comfortable. I use Frankincense oil and just rub it on the affected area. You can’t use the Now brand internally so I don’t recommend putting it in your mouth! Actually, the NOW website recommends diluting w/ another oil when using in a manner other than aromatherapy. Which is what she did. All Now brand is considered food grade. 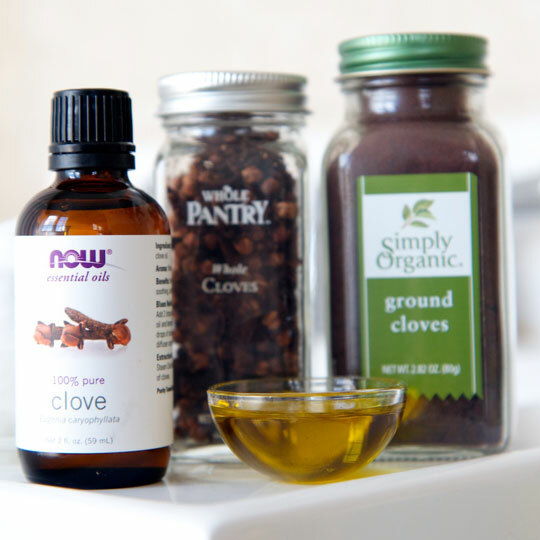 I have been using theur clove oil in my mouth for oil pulling for years now. I spoke with a Now rep and they told me about the food grade. Probably best to check with them personally, just stating my experience. I had an extremely painful toothache and of course it began on a Friday night when no dentists in my area are open until Monday morning. My face swelled up to double it’s size on the side of the bad tooth and I was miserable. I warmed a 1/2 cup of water in the microwave, hot enough to feel the heat but not hot enough to burn me. I then added 1 tbls of ground cloves and 1tbls of sea salt and stirred. Taking a spoon I began putting 1 spoonful in to my mouth and swishing it around the painful area. I would swish until that liquid began to cool off. Then continued with another and another the same way until most of the cup was gone. It took the pain away each time I did this, approx. every couple of hours, where I had no problems waiting until I could see my dentist Monday morning. I tell you, it works and it is a life saver! I haven’t tried the clove oil since I did not have any but if this happens to me ever again, I will try the oil first. I wouldn’t have believed how well the mixture of ground cloves, sea salt and hot water worked if I hadn’t have done this. I was amazed and lived through that weekend! I’ve used chamomile tea bags, just moisten with warm water and apply to affected tooth. It works well and it inexpensive. My gf had this enouing toothache and we used the powder clove. It helped within minutes. I kind of remember my father was making this solution with alcohol, oil and clove and I am glad this website reminded me of such an easy home remedy. I hope my love will sleep well tonight! And we’ll definitely go to the dentist, preferably tomorrow 🙂 Thanks again! Sensodyne tooth paste 2 x a day Coconut oil pulling works great. Save or borrow money to go to a dentist if you don’t have one. No need to suffer too long and have moreissues if you wait to long. Last night I had terrible pain after an extraction. I used fresh ground clove powder, 1 tablespoon, mixed with 2 tablespoons Bentonite clay and made a poultice dressing using gauze. Covered sore area. Made a fresh batch every 2 hours. 90 to 100 percent relief. Ginger is an old favorite. Peel it and place it next to the pain. Then gently bite into it. You must though visit the dentist ASAP, even if the pain has gone. Thank you for your post. I agree – God can work wonders! Especially when we do all we can or know, then turn it all over to Him. I went to the dentist today after almost 12 hours of excruciating pain. The x-rays definitely showed a tooth abcess. He sent me home with an antibiotic script & an appointment for a root canal in a week. I didn’t want the painkillers that make me feel loopy, but tonight I’m in a lot of pain. 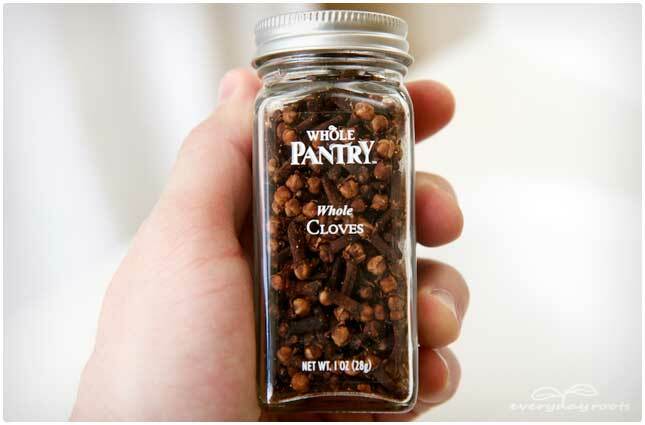 I hope the cloves work! Found this page, had nothing but cloves from my spice section put them next to the tooth killing me and within 2 minutes it’s done what codine hasn’t done in 3 days! Thanks for the info to try it! 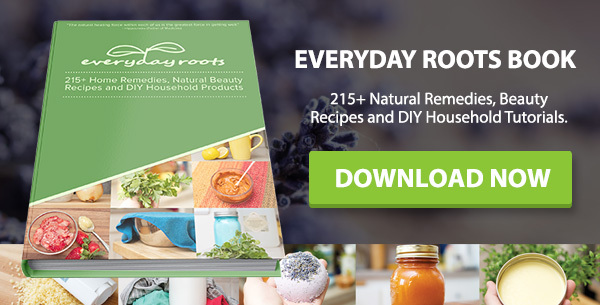 I truly believe in the power of natural oils and herbs to help in all kinds of medical issues, but just want to warn: toothaches and tooth pain CAN be deadly! Infections CAN and often do travel from the mouth and gums to the jaw and the neck or BRAIN. Please! Be careful, and after using the above mentioned remedies for EMERGENCY situations where no dentist is available, get to a dentist and at least make sure you don’ t have a SERIOUS infection that could cost you your life! It isn’t worth it to be holistic and natural only to die of something that could have been prevented by readily available dental care. And God’s blessings to all. Thank you so much for this post. I have tried everything else that I could find and Nothing seemed to work! I’m not a big fan of going to dentist so thought I would toughen through this one. It kept getting worse and worse, with everything I kept trying. 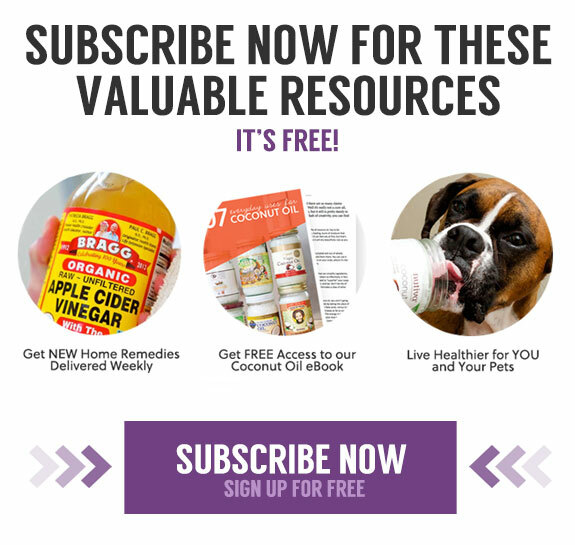 I came to your site and remembered that I have ground clove…that I only use for pumpkin pies in the Fall and thought, “what the heck, can’t make me feel worse than I do now!” OMG! This stuff took only seconds and now I have very very little pain. I’m glad I found something that I could do naturally, instead of wasting all my money on over the country stuff. Thank you again. My swollen face thanks you! Oil of Oregano – stops toothaches, even can cure infections, sore throats, etc. One drop goes a long way. One drop on toothbrush prevents most mouth issues. Usually comes diluted with olive oil. May want to dilute it further for tender spots. Helps my friend in this way – He puts it on his gums at night after removing his dentures. In the morning his gums are not swollen and dentures slip into place. Without the O of O his gums are always swollen and painful in the morning. I had a very bad toothache a year ago. Dentist advised either root canal or pulling the tooth out. I declined both. Tried all kind of sensitive toothpaste to no avail. Baking soda paste and cloves didn’t work either. I then tried hydrogen peroxide 3% solution (swishing around mouth for few minutes and then spitting it out), the relief was immediate. Even though the treatment was advised for a month, I stopped after 2 times, as there was no pain. The pain came back a week later. I repeated the mouthwash with H2O2 once more & I have been pain free since! Will definitely try this when my toothache acts up! It would be a blessing for this to work! 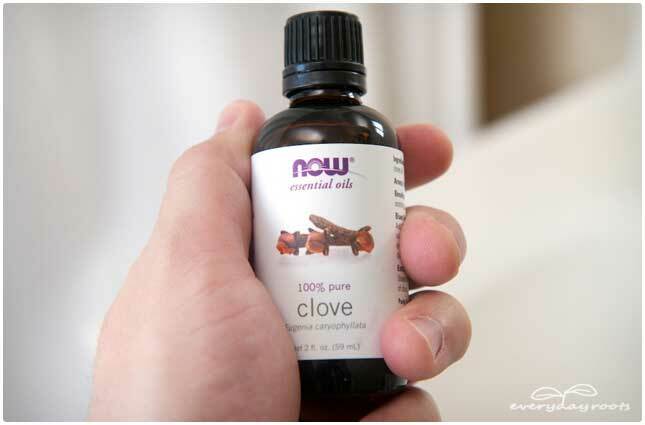 Where can I find clove oil?? Is it exists in supermarkets? Clove oil at walmart is behind the pharmacy walls. You must ask for it. Just fyi. Currently on the brink of passing out with pain. Am about to try this. Standby. I had a tooth that split in haft, and the pain was unbearable. The dentist couldn’t see me for two weeks so i found clove oil, or vanilla were great replacements OTC pain relief. 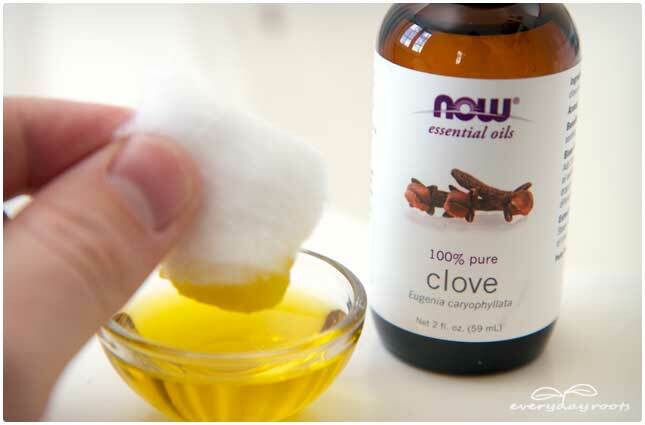 Clove oil does not work at all! I’m in agony, ive tried clove oil and Worse!. I would say some constitutions fare better than others. I completely agree. I am in sheer agony and I am going to dentist on Tuesday so I was looking for a quick fix until Tuesdsay. I thought that this was going to ne it but unfortunately not. Using ice bags to try and keep the two teeth frozen but I can’t take this to work and hold it on my face. I don’t want to take a day off work but I may be forced to take tomorrow off although I hope not. Here’s the thing….I have an exposed nerve at the top of my mouth and biting down on a clove oil soaked cotton ball was completely out of the question. So what i did was rinse my myth out once with warm salt water, took a little bit of toothpaste on my toothbrush, added about 4 drops of clove oil on top, and proceeded to gently brush my teeth paying close attention to the exposed nerve. In about 30 secs I could feel the pain starting to ease, after 1 min, it was practically gone. I am so relieved! Now i can finally get some sleep! 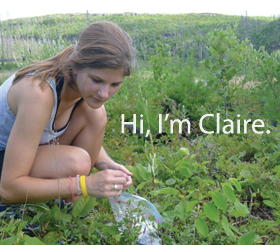 Thanks so much for sharing this informative post, Claire. One time, my father-in-law was in extreme pain due to a bad tooth. Of course it was after hours, so he was going to have to wait to see a dentist. We used whole cloves, which helped him a bit, but I think the oil would be much easier to use. Well the the Clove Oil didn’t wprk for me. I glad to hear that it worked for so many of you. I am having the teeth removed on Tuesday so I was just looking for a temporary fix until l get to the dentist on Tuesday. The pain is so intense. I may habe to go to emergency dentist tomorrow to get .y teeth pulled. My dentist is not in on Mondays.Oooh how l wish he was because l would be able to get it done on Monday. I hsven’t missed work because of it yet but I think tonorrow will be the first. I have not been sleeping well at all because of the pain. I am usislly aeoken at 2am to 4am in excruciating pain. So far I have done the Clove Oil and that didn’t work, moved onto my toothpaste Sensodyn Rapid Relief that helped a bit ( massaged it into my gums for60 seconds like it says on tne package), then I used the Magic Bag ( because that worked at one time), that didn’t bring any relief, then I took an Advil (waiting for that to kick in but who knows when they will stop working because i have been taking them so long) now using an ice pack to try and freeze the very sore teeth. The Clove Oil may be okay for a monor toothache but not for broken teeth where the nerve is exposed. It os great to know that tboshas helped some people but it didn’t help mea nd a few other people that I read about and to be honest I thought that they wanted to be different, I tried it and at first instant relief but it only lasted 2 mins and then the pain was back with avengence. So looking forward to Tuesday Iit can’t come quick enough. I know it is only approximately 36 hours away but when you are in a lot of pain like myself and you can”t sleep it seems like an eternity. Spilanthes aka the toothache plant. Have never seen a tincture for sale and only once the plants for sale, but the seeds can be found online. 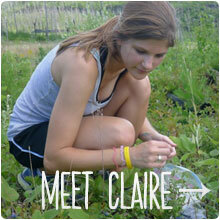 Grow yourself, eat the leaves & flowers raw or make a tincture for future mouth care. Amazing plant! Can’t wait to see my little ones bloom. 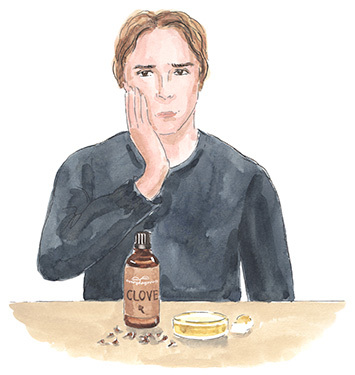 Something I wish I’d known before hand: if your tooth pain has something to with exposed nerve endings and roots, clove oil will STING. I spent most of a night wanting to rip my compromised teeth out of my own head. Took some extra strength Tylenol and managed to catch a few Zzz’s. Woke up in the morning and the pain had subsided. Some background: the exposed roots happened due to the pressure on a water pik being turned up too high. It separated my gums from the root of one of my right, rear and upper molars a year or so back and keeping it clean has been a twice daily challenge ever since. If mint toothpaste gets in there, or mouthwash, it has basically the same effect for about six hours. If you have exposed roots, avoid clove oil! Yikes! Thank you for sharing your wisdom on the subject… that sounds just awful! I’m 31 weeks pregnant was suffering from a toothache for over two day couldn’t eat or sleep even would just sit there and cry then I got told to try biting on wholes cloves and it went away in seconds! !